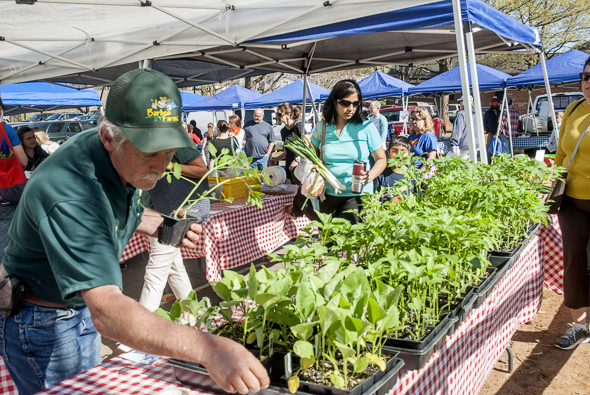 Davidson Farmers Market kicks off its 11th Year Tomorrow – Stop by! DAVIDSON, NC The Davidson Farmers Market kicks off its 11th year tomorrow from 8-12pm. They are welcoming 10 additional vendors this year. I am delighted to be the new Title Sponsor of the 2019 Davidson Farmers Market. I love supporting things that make Davidson, Davidson. For your real estate needs call/text Clark at 704 996-0948 or stop by my booth at the Farmers Market. This week you can find the following at the market. For a full list of offerings, click here. Produce: kale, red leaf lettuce, spinach, Swiss chard, rabe, sweet potatoes, green onions, beets, micro greens, sunflower shoots, and more. Protein: ground beef and pork, pork chops, select beef and pork cuts, water buffalo cuts, chicken, hot dogs, bacon, roasts, stew meat, fish, eggs, and more. Specialty: fresh baked breads, bagels, donuts, kombucha, water buffalo cheese, goat cheese dips, dressings, salsa, Italian cheese, hand crafted soaps, lavender lotions and oils, fresh lavender, cookies, coffee cake, empanadas, and more. Food Truck: Bleu Barn Bistro – delicious locally sourced breakfast and lunch options. 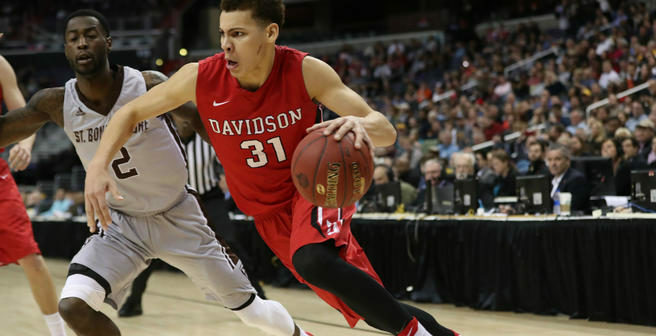 The Davidson Weekly Calendar – Mar 27th – April 2nd – Spectacular! DAVIDSON, NC Live Theater at the College and at Davidson Community Players, Live music, lectures, soup nazi at the Cottage, Wildcats Sports. Another spectacular weekend in town. 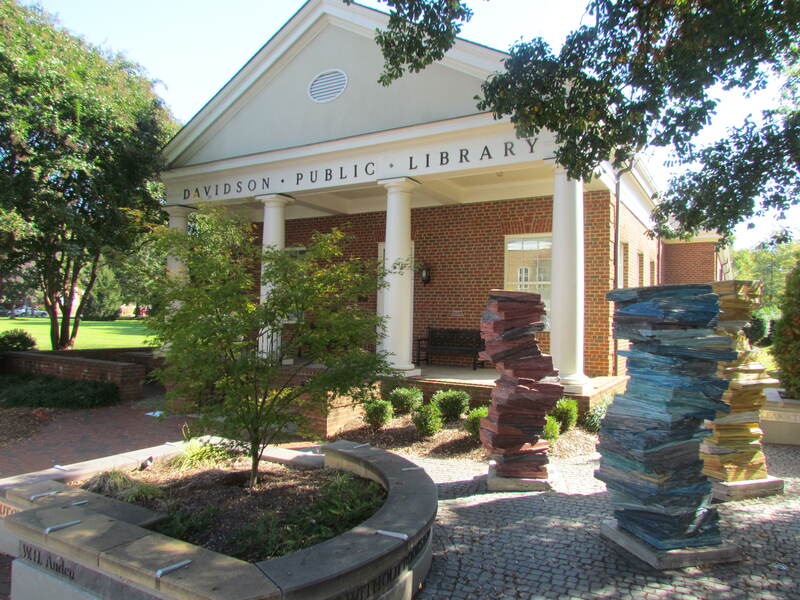 The Davidson Weekly Calendar – March 6-12 – Get out and enjoy! DAVIDSON, NC Wine dinner, Beer vs Wine event, Lectures, Sports, Autor discussions, Piano concert, Organ recital, another packed week in town. Enjoy! The Davidson Weekly Calendar is produced by Clark Goff – Realtor in Davidson. Please contact me for a free home evaluation. Call/text 704 996-0948. DAVIDSON, NC What a week! Theater at the College and with the Community Players. Live Music including Mayor Rusty Knox. Lectures. Davidson Baseball. Fun for the kids at the library. Davidson, NC Here is a list of Christmas Eve services in town. 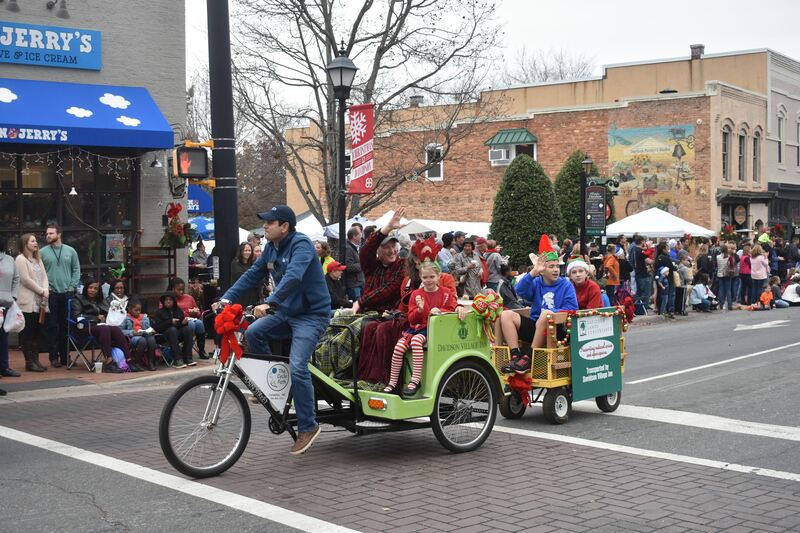 Davidson, NC Weekend Calendar – Holiday FUN! Davidson, NC We’ve got it all this weekend. 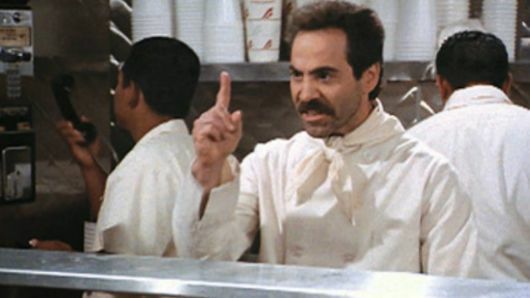 Soup Nazi, Santa Mickey, Live theater, Live Music, Ornament making, Jewel Box open house. 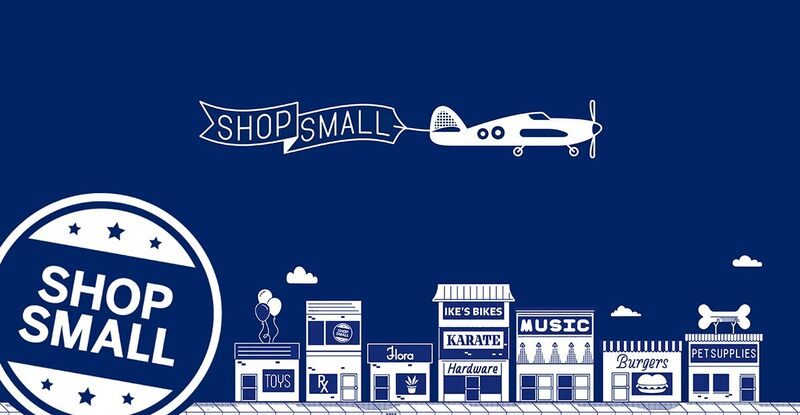 Shop local and support our great local merchants. 10-4pm Jewel Box Holiday Open House – On site Embroidery, Swag bags for 1st 25 customers, FREE item with purchase, raffle! Davidson, NC We are delighted to report that Santa has agreed to come back to Davidson for his annual pre-Christmas tour. Here is his schedule. 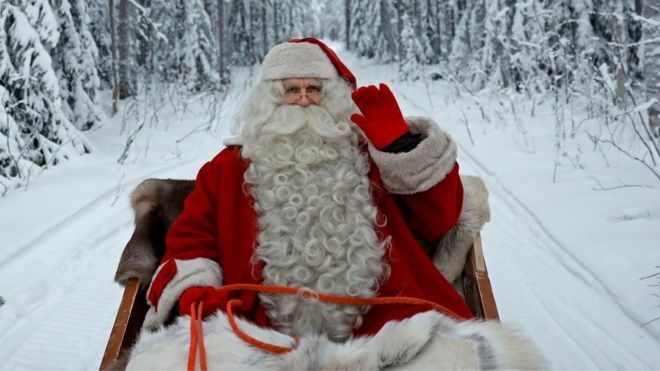 December 18: Santa Claus visits Davidson (east of the East Rocky River roundabout) 6:00- 8:00 p.m.
December 19: Santa Claus visits Davidson (west of the East Rocky River roundabout) 6:00- 8:00 p.m. Listen for the fire truck and get ready to wave. 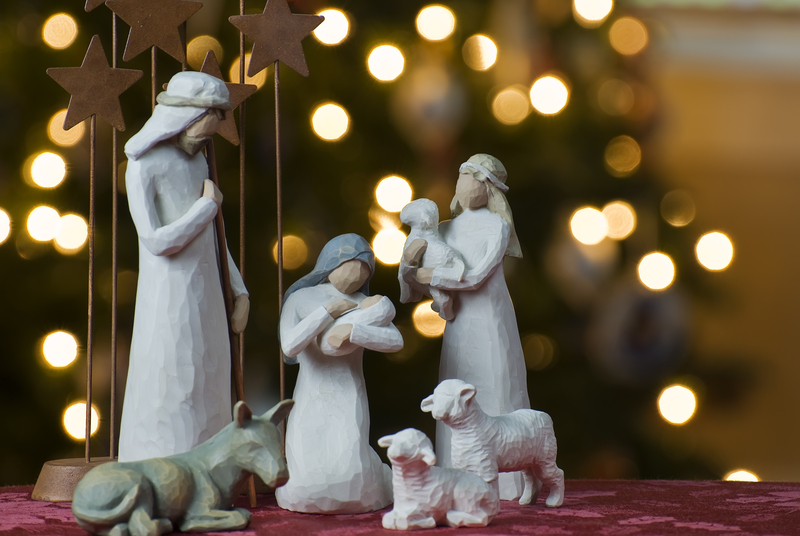 Davidson, NC Weekend Calendar – Christmas in Davidson! Davidson, NC Have a wonderful Thanksgiving. Lots to do with family and friends in Davidson. Rusty Knox performs, Car Show, LIVE Music, Davidson basketball – support the team while students are on break, Small Business Saturday – Win gift cards! Davidson, NC Saturday November 24th is Small Business Saturday and an opportunity to support all the wonderful local businesses which make Davidson so special. Ben & Jerry’s Ice Cream, Carolina Craft Butchery, Clean Juice, Honeysuckle Home, The Jewel Box, Kindred, Main Street Books, Monkee’s, New York Bagels, The Rumor Mill Market, Summit Coffee, The Village Store, and The Wooden Stone. Simply make a purchase at any of these businesses and your name will be entered into the drawing. Mayor Rusty Knox will draw the winner Tuesday Nov 27 on Facebook Live. 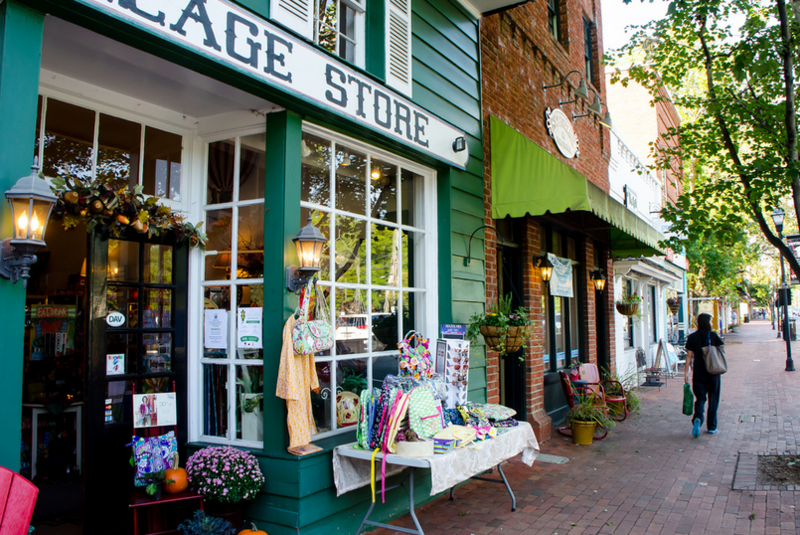 Bring your houseguests out and explore all Davidson has to offer and support local, small business. 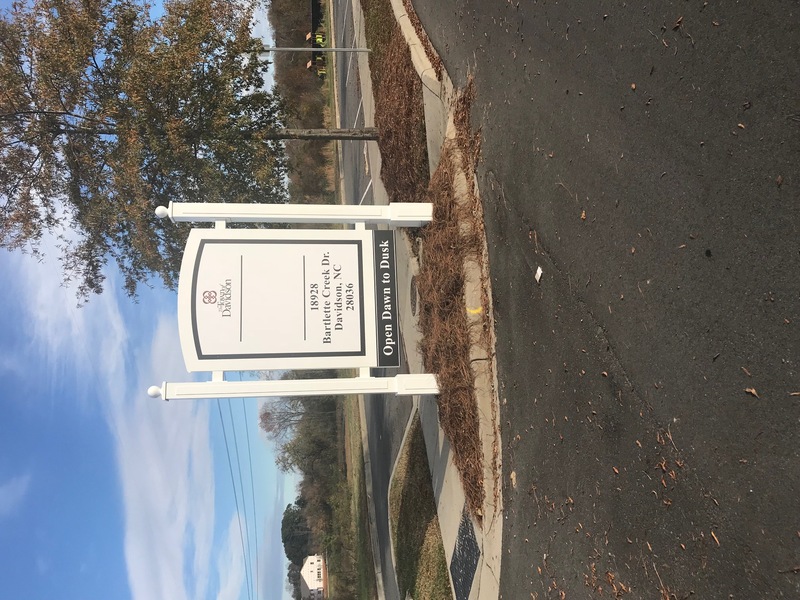 Davidson, NC Weekend Events – New Park! Davidson, NC Lunch with James Beard Chef, LIVE Music, LIVE Theater, Wildcats Basketball, Plum Creek Park opens! See you around town. Davidson, NC Murder Mystery, Cooking Demonstration, Davidson Basketball Begins, Little Mermaid, Cookie Crumb Trail, Wine tasting, LIVE Music, Twilight 5k. Another great weekend in Davidson! Davidson, NC Davidson College Family Weekend! Rusty Knox plays Summit, Boos and Brews, Live music, College sports and theater – watercraft rental. Enjoy! 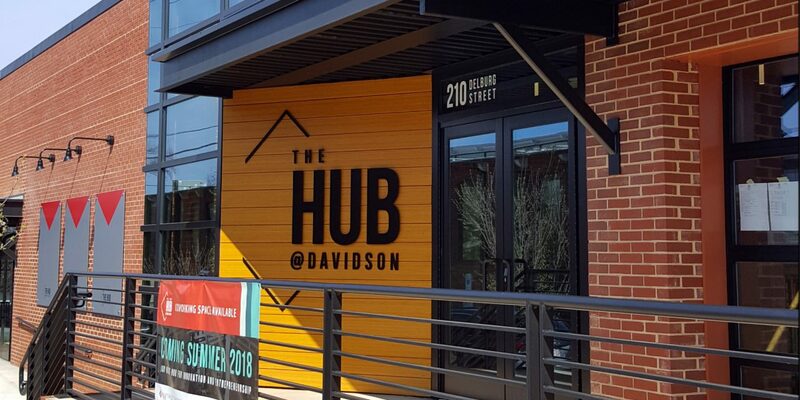 Davidson, NC Hear Entrepreneur’s pitches, Learn Excel, Live music, Wildcats football, Walk with a Doc – Too much going on in Davidson this weekend! Where is SoMa Davidson? and When is the Party? SoMa Davidson is the new trendy name given to the area of Davidson that is much less known than Historic Downtown. 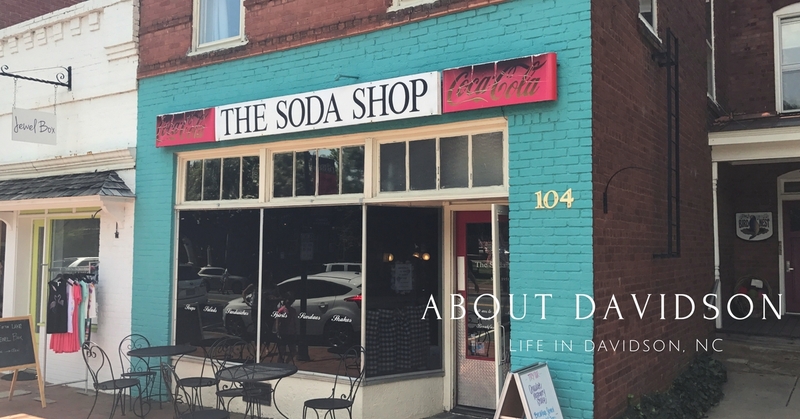 Its geographic boundaries are from under the bridge entering Davidson on 115 until around Lake Norman Realty, It has been known as the South Main Street Arts District, but was too long, and now will be branded as SoMa Davidson. Next Sat. Oct 6, from 2-7pm will be the first introduction of this geographic area SoMa Davidson Fall Fest with activities at the businesses & stores from Wooden Stone Gallery on one side of the street to Fuel Pizza on the other side of the street. During the day, from 2-4pm there will be kids activities such as pumpkin decorating, face painting, coloring sheets, pictures with a large scarecrow and build a small pizza at Fuel Pizza. Try the new Fall Beers, take advantage of food & drink specials from Carburritos. 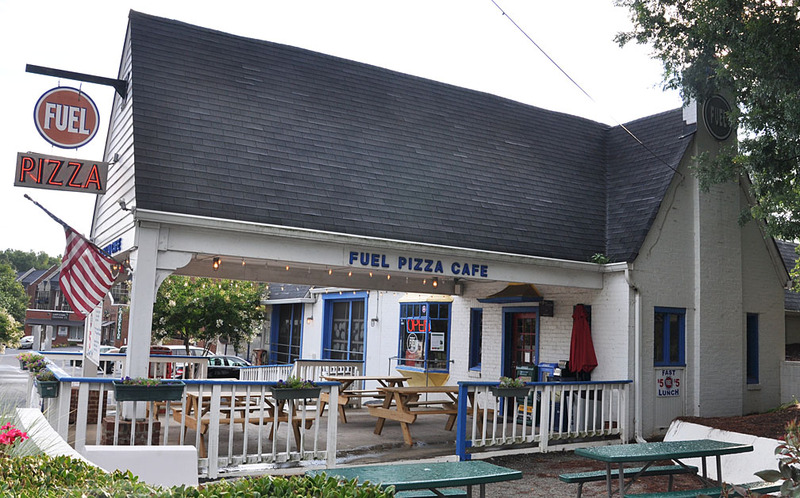 Davidson Ice House, Restaurant X & Fuel Pizza. Whits Custard will have an amazing Fall flavor – Bourbon Praline Pecan – who could resist? Extra parking is available at the Archers Car Wash area.